Welcome to our Jellycat page! We are sure you will have heard of Jellycat before, if not then you’d probably like to know that they are one of the world’s greatest and most popular luxurious soft toy manufacturers. 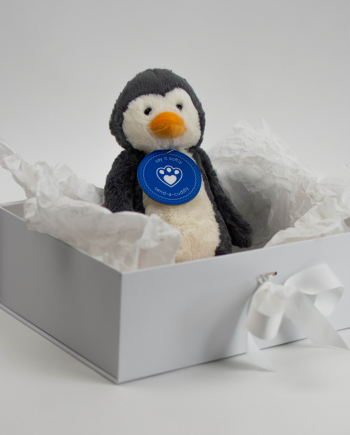 Designed in the UK, Jellycat plush toys are in a league of their own, making delightful gifts when they are sent with our unique packaging and message medal concept. 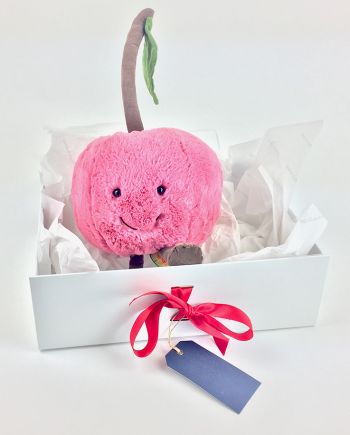 We are very excited and proud to be Jellycat retailers here in the UK and we hope that you enjoy sending and receiving your cute and cuddly gifts for whatever occasion you are celebrating or remembering. 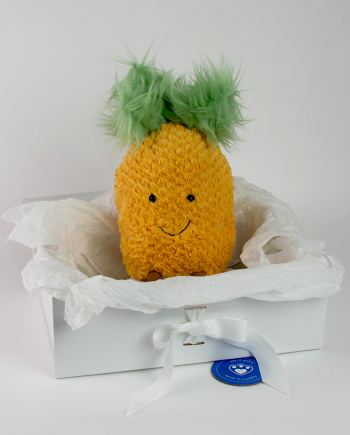 Don’t forget to fill in your message medal to make your personalised Jellycat gift even more special to the recipient. We have added examples for you of message ideas on our product pages – but you can say anything you like, the only limitation is your imagination! Remember to keep the message under 255 characters! So without further ado please take a look at our Jellycat soft toy collection below and discover a whole world of soft, cuddly and stylish plush gifts. We have everything from tiny little Jellycat gifts such as the miniature Polar Bear, through to the large Fuddlewuddle Elephant, and everything in-between.